Chinese fungi are known to do everything from increasing endurance in athletes to helping rebuild the body after long-term illness. Many of the compounds found in medicinal mushrooms like reishi, maitake, and cordyceps are classified as host defense potentiators. 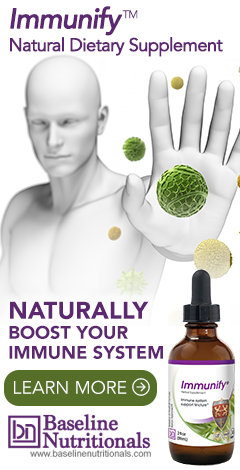 It is believed that combinations of these fungi compounds target and strengthen the human immune system, as well as aid in neurotransmission, metabolism, hormonal balance, and the transport of nutrients and oxygen. They help the body regulate the development of lymphoid stem cells and other important defense responses. Maybe one of the most underrated of these medicinal mushrooms is cordyceps. They are considered one of the most valued medicinal fungi in all of Chinese medicine, among the most potent, and also one of the most expensive, at one time costing as much as $249 per kilogram. One key benefit of cordyceps is its ability to improve oxygen utilization. In fact, one 2004 study found that cordyceps improved athletes' oxygen utilization by as much as 50 percent. It doesn’t just benefit athletes either. Another study found elderly patients experienced a nine percent increase in aerobic capacity when taking cordyceps. It may also help improve your heart health as well. A study published in the 1999 issue of the Journal of Alternative Complementary Medicine reported that cordyceps can lower total cholesterol by 10-20 percent and increase HDL by a quarter. Other studies have found that cordyceps can lower your heart rate. This may explain why people report being able to train for longer periods of time when using this supplement. Another study from the Hong Kong University of Science and Technology, shows that cordyceps can help boost your body’s ability to produce adenosine triphosphate (ATP), the energy currency of your muscles. It is the fuel your body uses for quick bursts of activity like jumping or sprinting. In addition, cordyceps may also provide a boost similar to that of caffeine. The fungi can produce an apparent increase in energy, as it actually attaches to the same receptors as caffeine - all without the negative side effects. In fact, one study found that elderly patients suffering from fatigue who took cordyceps reported a 92% improvement in their symptoms in 30 days. Cordyceps is also widely employed to treat upper respiratory problems, impotence, and weakened immune systems, and also by athletes to increase endurance. Recent research with extracts of cordyceps has yielded a protein-bound polysaccharide with activity against tumors, as well as being capable of upregulating macrophage activity, and inducing the apoptosis (cell death) of human leukemia cells. In addition to being a host defense potentiator, cordyceps have properties similar to those of ginseng and have been used to strengthen and rebuild the body after exhaustion or long-term illness. All of these are reasons Jon Barron includes cordyceps in his Immunify, immune boosting formula. Aside from its health benefits, cordyceps has a very interesting history. In China, it is known colloquially as chongcao, which means, "worm-grass." It was formerly used as a popular medicinal food, often cooked with chicken or duck. However, due to its high expense, most people cannot afford it except in medicinal quantities. Because of this high expense, among the wealthy and powerful in China, cordyceps was considered quite the prestigious gift and was seen as a status symbol. Due to the rarity and high prices of the wild collected variety, attempts have long been made to cultivate cordyceps. After much early frustration in attempted cultivation, commercially viable methods were finally achieved in the late 1970's. By the mid 1980's, the majority of cordyceps available in the world's marketplace was artificially cultivated. Because of the development of these modern biotechnology-based cultivation methods, the availability of this previously rare health supplement has greatly increased in the last twenty years, while at the same time the cost has come down. You can find this medicinal mushroom in many forms. It is most commonly found dried in health food stores and is often added to food like soups and stews. You can also find it in powered form (great for teas) or in liquid, table or capsule form. For more information on these medicinal mushrooms and how immune boosting ingredients can be used in a formula, click here. Lee JS, Hong EK. "Immunostimulating activity of the polysaccharides isolated from Cordyceps militaris." Int Immunopharmacol. 2011 Sep;11(9):1226- 33. Epub 2011 Apr 14. Jeong JW, Jin CY, Park C, Hong SH, Kim GY, Jeong YK, Lee JD, Yoo YH, Choi YH. "Induction of apoptosis by cordycepin via reactive oxygen species generation in human leukemia cells." Toxicol In Vitro. 2011 Jun;25(4):817-24. Epub 2011 Feb 15.